Often when we supply clients with on hold, IVR and telephone marketing audio, many of the common questions we hear are: How do I get it on my phone? Is it difficult to do? What device do I need? As we are audio specialists and do not deal with or supply any telephone systems this is not something we can answer in much detail. For this reason, we have started an online directory of companies that provide business telephone systems. It is new currently, but we will be adding to it. 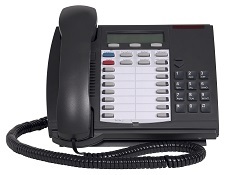 These businesses can help you with telephone hardware, VoIP and cloud based systems and we can concentrate on the part that we are experts in; supplying great sounding and affordable audio messages. We have done this purely to create a helpful resource for you, our clients. We have no affiliation with the companies listed and do not charge them to be listed either. We just want to be able to point users of our service in the direction of a company that can offer a phone system solution for playing audio ordered through us. We do not have any business connection with these companies, they are displayed here for your convenience only. These should not be seen as recommendations as we have only ever used two of these companies for our telephony requirements. Visit their websites and make your own judgement with regards to their suitability. The companies listed will have a link to their website and a short description if supplied. Also, some may have links to blog posts that we will be hosting for them. If you are a supplier wishing to be added please get in touch at the email address below or post a comment with your name, web address and short paragraph about the services you offer. Please note: We do not list companies that also provide audio services.